It has to deal oftently with a reduction in the number of employees, whereas the equipment to be managed is increasingly numerous and more and more obsolete. To stand the competition, It is important to build communication action plans with external agents and follow the special requirements of maintenance. Whether in industry or publicly-owned establishments, ISO certifications and accreditations now require powerful tools to meet these qualitative, organizational and productivity objectives. The CMMS fully fulfills this role for technical services and this is why it becomes important to implement this type of software. 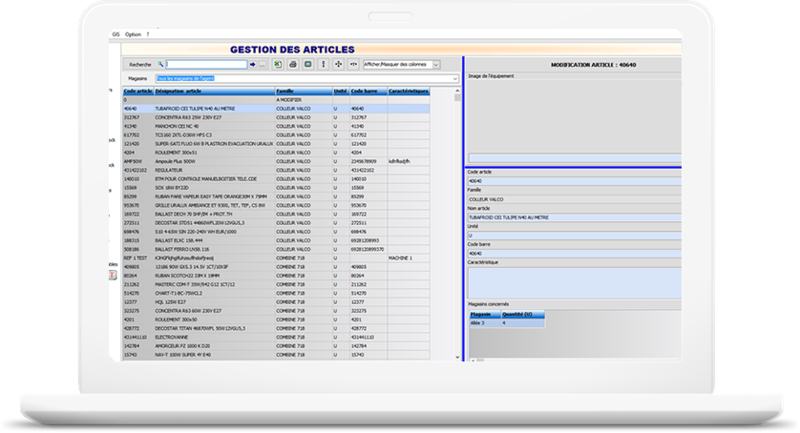 The demande and treatment of technical interventions is easily done thanks to our spécific interface. 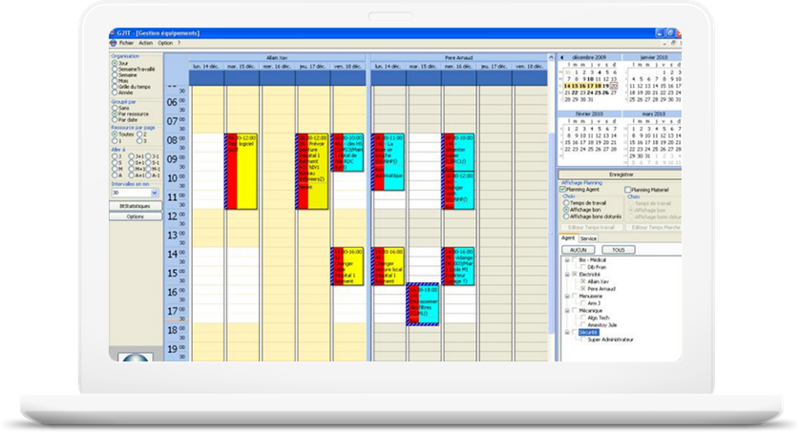 Thanks to the planning you can in a click visualize the schedule of your agents and the availability of all your equipment. You can make an inventory of the equipments to keep and combine strong useful features. A specific dedicated interface to preventive management will allow you to implement a comprehensive preventive maintenance strategy to reduce the number of failures. In a simple and fast way it is possible to customize a dashboard that will reflect the activity of your service and will allow you to identify the equipment most often out of order. La maitrise de son stock est essentielle quand il s’agit d’éviter d’être en rupture lorsque l’on a besoin d’une pièce en dépannage, la possibilité également de tracer les historiques d’entrées et sorties de stock est également très importante. 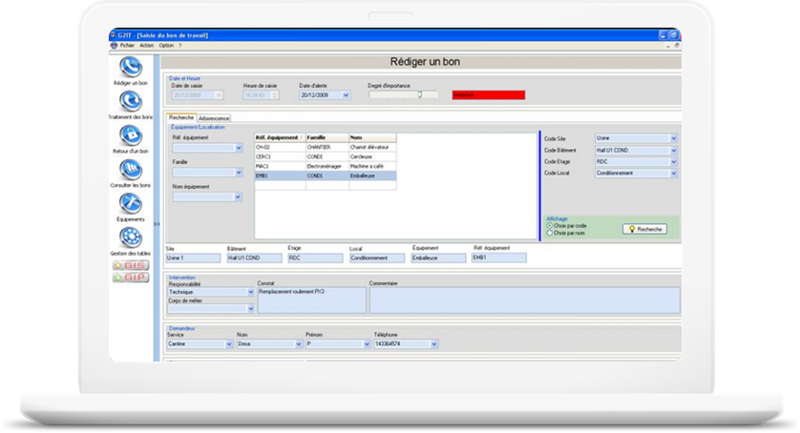 A schedule management module is integrated to our CMMS witch allow the user to easily visualize allocated agents resources and equipments. It's possible with the CMMS G2IT to inventory all the equipment of your structure and to locate them on a map. You will be able to manage the sets and subsets of devices without limiting the number of levels. The management of preventive technical interventions allows agents to have a predefined schedule of so-called repetitive interventions. 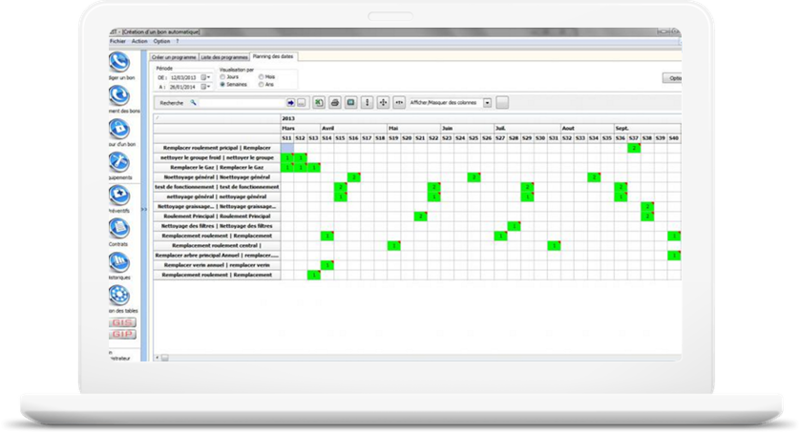 Display a synthetic schedule of preventive programs, trigger dates and intervention dates. G2IT allows to manage the cost of each technical intervention. When the voucher closes, the information history from the creation of the voucher is displayed. The user indicates the result of the intervention, specifying the time spending and the spare parts used to repair. These essential data will feed the database to produce very accurate statistical data for each intervention. With G2IT it's easy to edit vital statistics by location, agent, equipment or family of equipment. 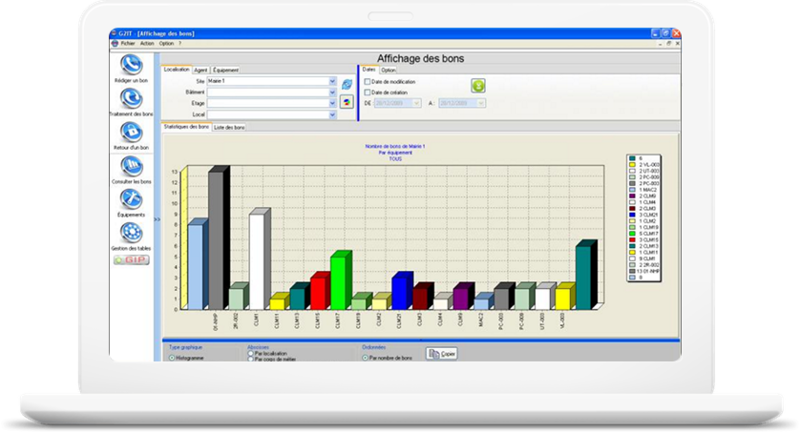 GIS is a real stock management software. 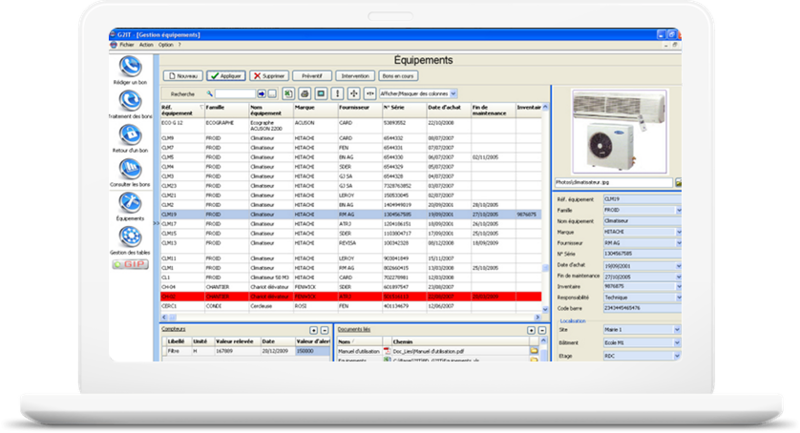 Associated with G2IT, it allows to manage inventories of parts from several stores. The parts stock can be automatically updated from G2IT.